Zc512. Bilibid Prison in Manila from the Navy Medicine Live Blog. In the annals of naval history, perhaps there are no more famous siblings than the Sullivans—five brothers whose lives were lost aboard USS Juneau (CL-52) at Guadalcanal in 1942. Less well-known are the Northcott brothers—John (b. 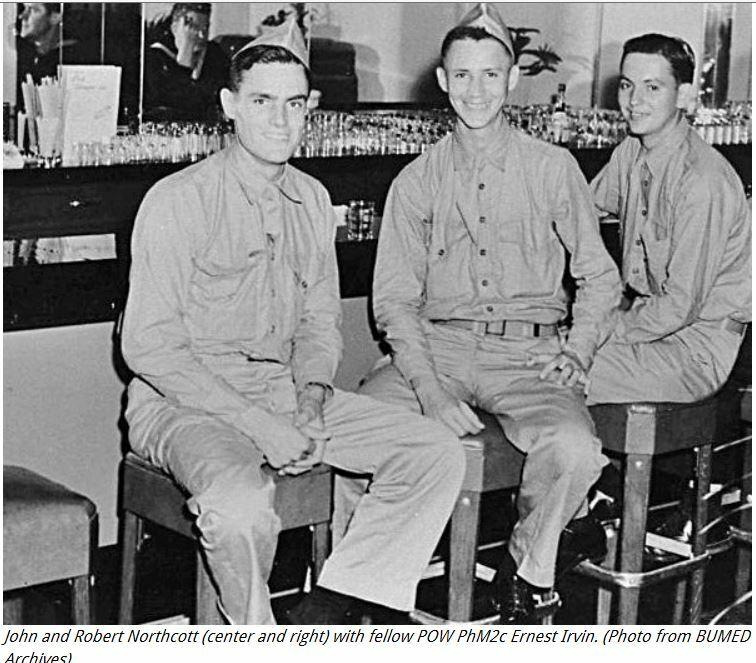 1918), Robert (b.1920) and Thomas (b.1921)—three seamen apprentices-turned hospital corpsmen who miraculously survived a gauntlet of disease, torture and deprivation over their first years of service. Born in what was then the American territory of the Philippines to a British-born American father and a Spanish mother, the Northcotts came of age in Manila as war clouds spread across Asia. Anxious to serve their parts, the brothers enlisted in the Navy together in January 1941. They were assigned to USS Vaga (YT-116) a tug used for patrolling the Filipino coastline from the Cavite Navy Yard to the island of Corregidor. Soon after the Japanese invaded, the Northcotts helped scuttle the Vaga off Corregidor and join a naval unit attached to the 4th Marine Regiment in defense of Corregidor until their own capture on May 6, 1942. 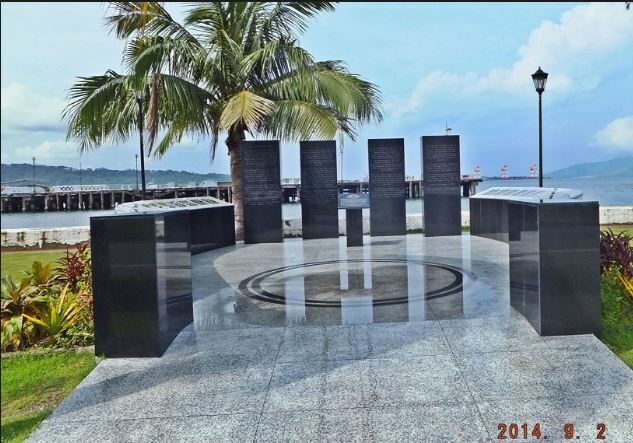 Along with fellow defenders of Corregidor, the Northcotts were transferred to Bilibid. From the Tagalog word meaning “prison,” Bilibid was the name a detention facility located in the heart of Manila. Zc513. 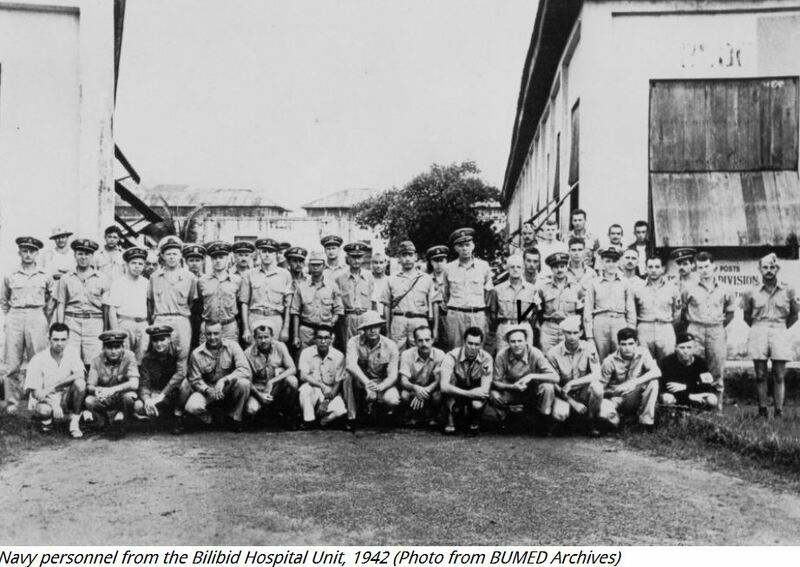 Navy personnel from the Bilibid Hospital Unit, 1942 (Photo from BUMED Archives. In spite of many setbacks—including bouts of dengue fever and amebic dysentery—the Northcotts remained on near-continuous duty. As it was later reported in their Bronze Star citations, each carried on with their duties despite limited rations, constant harassment by guards; and each willingly shared their meager supplies of food, clothing and other necessary articles to less fortunate and ill prisoners. On October 21, 1943, John, Robert, and Thomas were among 228 Bilibid prisoners (including 72 patients) “drafted” for work detail on an old rice farm in Cabanatuan, 90 miles north of Manila. There the brothers would remain working in malaria-rife conditions until they were finally broken up. John and Thomas were drafted for transportation to mainland Japan aboard the “hell ship” Oryoko Maru. Robert would remain at Cabanatuan until his liberation. In December 1944, John and Thomas were loaded into the ship’s cargo hold with 1,617 others. Each were required to subsist on one-fifth of a canteen cup of steamed rice, two ounces of water, limited air, and no sanitary facilities. On that first night at sea 70 POWs would suffocate or die of dehydration. Two days later, while off Olongapo, the ship was strafed and bombed by aircraft from USS Hornet (CVA-8) killing another 270 prisoners. Those lucky enough to survive the sinking were herded onto a cattle boat which would be sunk off the island of Formosa killing an additional 268 prisoners. The remaining POWs were then loaded onto a third ship. Over the course of its 17-day voyage an additional 656 prisoners would die of exposure, starvation and disease before arriving in Japan on January 30, 1945—the very same day Robert Northcott was rescued from Cabanatuan. John and Thomas Northcott would spend the remainder of the war at prison camps in Japan before finally being liberated in September 1945. After the war, the Northcotts would remain in the Navy. John and Robert would serve through 1961, rising to the rank of Chief Hospital Corpsman (HMC). Thomas would be promoted to HMC in 1950 and serve with the First Marine Division in Korea until wounded in action in September 1950. While recuperating he contracted pulmonary tuberculosis and would be medically discharged in 1951. For his actions in theater he would later be award the Silver Star. •	1). Originally established in 1906, Naval Hospital Canacao had been the Navy’s largest overseas hospital in Asia before 1941. After the bombing of Cavite and Sangley Point, the hospital was relocated to Manila and the hospital unit was interned at Bilibid. The nucleus of hospital personnel would continue to carry out their mission of healthcare while they themselves were imprisoned. The unit would remain in continuous existence until October 30, 1944 when Japanese military officials replaced most naval medical personnel with Army. •	3). Robert would die in 1988 followed by brothers Thomas (d. 2000) and John (d. 2005). Dixon, Benjamin. “Manila Bay Episode—Postscript.” The Hospital Corps Quarterly, Vol. 19, May 1946, No. 5. Nelson, Jean. “Government Urged to Aid ‘Man Without a Country.’” The Times Standard, 5 July 1968, p1. Northcott. “Book of War Records.” Hospital Corps Archives Memo 268-45. BUMED Archives. Northcott, John Florence. Casualty Card. Hospital Corps Collection, BUMED Archives. Northcott, Robert Patrick. Casualty Card. Hospital Corps Collection, BUMED Archives. Northcott, Thomas Voicey. Casualty Card. Hospital Corps Collection, BUMED Archives. Northcott, John. Casualty Card. Hospital Corps Collection, BUMED Archives. Silliphant, William M. “Under the Japs in Bilibid.” Guests of the Emperor Collection. BUMED Archives.